Learn how to turn on your 24 strand DNA. Learn about cancer, addiction, vaccination and much more. On The GoldFish Report No. 129, Winston Shrout joins Louisa in welcoming Scott Werner, a medical doctor who ended up in a battle with the ‘medical establishment’ over a natural treatment that cured his Cancer. Dr. Warner gives an impassioned testimony of how the government raided his clinic, took his medical license, put him in prison and fined him for curing diseases by removing the parasites, and fungi that are believed to be the root cause of many diseases. After several near death experiences, Dr. Werner began ‘intuitively’ identifying diseases and with the help of ascended masters, has helped many people take control back of their health. Scott Werner is the author of three books about his journey that are available on Amazon, and for more information about Parasite Cleansing you can find a link here at http://www.thegoldfishreport.com/link…. And for more information about Scott Werner M.D., please visit www.scottwerner.org and for medical intuitive consultation you can contact him at [email protected] and to contact his office you can cal 1+(435)-986-0025. To receive notifications of our Reports you can subscribe to our YouTube Channel, follow us on Twitter at @ReportGoldfish, www.thegoldfishreport.wordpress.com you can also follow us and like us on our 24/7 research news page at www.facebook.com/thegoldfishreport and to help support these and other programs please visit www.thegoldfishreport.com to make a donation. Thank you for your support and Thank you for viewing! 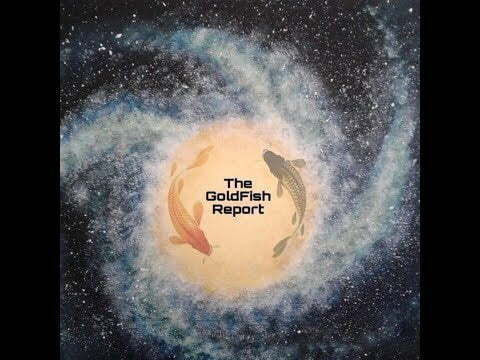 On The GoldFish Report No. 132 Louisa welcomes back Dr. Scott Werner with Winston Shrout. Dr. Werner answers viewers questions and by divine guidance of St. Germaine, discusses Addiction and how to heal Emotional Pain. Dr. Werner also discusses how Vaccinations play a role in addiction as well as other agenda’s vaccines are used for. Dr. Werner and Winston also discuss ways to cleanse and forgive ourselves of our past wrong doings and how to allow the Love of our Creator to help us in this process. They also share powerful stories of testimony of their own journeys through their cleansing process. Viewers can google the Ho’ Opono pono prayer of Forgiveness if interested. Thank you Winston and Dr. Werner for Enlightening us! You can address questions to Dr. Werner at 435-986-0025 or email him at [email protected] The link to Dr. Werner’s YouTube reading of the 12 x 12 Affirmation by St. Germaine is located here : https://youtu.be/CuqIjzXc2Rg. 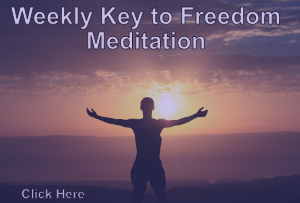 Again, the links for the Parasite Cleanse, the St. Germaine Prayer and 12×12 Affirmation for 24 Strand DNA http://www.thegoldfishreport.com/link …. And for more information about Scott Werner M.D., please visit www.scottwerner.org and for medical intuitive consultation you can contact him at [email protected] and to contact his office you can cal 1+(435)-986-0025. To contact Winston please visit www.wssic.com. To receive notifications of our Reports you can subscribe to our YouTube Channel, follow us on Twitter at @ReportGoldfish, www.thegoldfishreport.wordpress.com you can also follow us and like us on our 24/7 research news page at www.facebook.com/thegoldfishreport and to help support these and other programs please visit www.thegoldfishreport.com to make a donation. Thank you for your support and Thank you for viewing! I call upon Mother Earth and Archangel Uriel, the Fire of God, the Light of God, the Archangel of Divine Wisdom, in the North and the Ruler of the Elements of the North. I project gratitude, light and love, I project my being, my energies, my thoughts deep into the magma, of Mother Earth and give her thanks, yellow, purple, orange in color, asking for the assistance in bringing the energy of the creative magma up into my feet, up through my root chakra or coccygeal Plexus into the second sacral chakra, the Sacral plexus of creation. I call upon Divine Creative Source Energy and the Archangel Jophiel, the Beauty of God, the Archangel of Creative Power and illumination, The Guardian of the Tree of Knowledge with Archangel Uriel with the intent of creating 24 strands of DNA. I reach and project gratitude, light and love high into the heavens, calling forth the golden-white light from Source Energy, bringing it down, the golden-white light through my cerebral chakra down through the heart chakra adding love in my heart and down to the sacral plexus or creative center just above the pelvic bone. I call forth Archangel Zaphkiel, Keeper of the Orange Flame of Creation, the Angel of Ecstasy, Creation and Compassion to bring the creative energy of the orange flame into the sacral Plexus, with the intent of creating 24 strands of perfected DNA for the Celebration of our Existence into every cell in my body. I call in the Star Children, Keepers of the perfected 24 strands of human DNA, with the intent to manifest the 24 strands of DNA in my Sacral plexus, in the creative chakra, then into every cell in my body, including my blood and lymph. As I place the 24 strands of DNA into every cell in my body, I intend to perfect my body, bones, blood, lymphatic system, nerves, organs, hormones, glands, proteins, telomeres, organelles, carbohydrates, arteries, veins, immune system, adipose tissues, cell membranes, mitochondria and every other cell in my body, at a quantum level, manifesting the perfection of the original humans. I reform the 24 strands into 12 double-helix, connecting 2 strands each, into a rotated, connected, perfected, spiral, double-stranded DNA, with perfected telomeres at the ends, acting as little antennae, transmitting perfection, from the quantum field and Source Energy, into each and every cell of my body to rejuvenate, revitalize my body to a perfected, eternal state of health and fitness. I braid these 12 double helixes into 24-stranded rope DNA in every cell in my body, making me strong, invincible, indestructible and impenetrable to all the toxins, petrochemicals, nanobots and radiation. My 12 double helixes connect me to the quantum energies of all other celestial realms and dimensions. I am now connected and integrated to all my Divine Interdimensional Beings in the Multiverse. Dr. Scott Werner will be a speaker at PFC—LA at a future date. Manifesting 24 strands of DNA by saying aloud the prayer of St. Germaine each day for 144 days. Every 12 days you will have an upgrade in DNA. We are the creators of happiness, abundance and peace. Believe and have faith and put emotional energy into it. Intent, faith and emotion is all that is needed to manifest. It would be beneficial for us as a group to begin this process and observe the changes that we note. When Dr. Werner addresses us we can exchange experiences and get further information from St. Germaine. This is a very exciting opportunity to actually biologically change our lives! The GoldFish Report No 132 Scott Werner M.D. Manifestation given by St. Germaine to assist all humans to create 24 strand perfected DNA into our bodies, with the intent to evolve into homo-luminous, which will perfect the human body making us invincible to the toxins, petrochemicals, nanobots, mind-control and radiation. ALL is possible. As we embrace more and more of the truth of WHAT we are – pure GOD, CREATOR energy, on a conscious level, we have greater and greater harmony within our organism and this becomes objectified without, in our “external reality”. This is what makes what Dr Werner addresses not only possible but a done deal! My suggestion, why allow our brainwashing on our limitedness to stand in our way. Its like cutting off 99.9% of ourselves and saying that the .1% of me is all I want of me. That’s good enough. Who’s idea is that? Certainly not God’s and I don’t want that either, not for myself or for this planet or anything on it. We can let go of what we have been taught and open ourselves to God (or whatever words one is comfortable with – its all the same energy) showing us WHO and WHAT we are. The realm of possibility changes dramatically when we go directly to Source within/without and begin to embrace our TRUE nature. I’ve never thought 12 strands is available to us at 3D. Perhaps after the Event / Ascension, then maybe with some humans. Then last week there was confirmation from Cobra. It’s NOT possible on 3D! He said what I thought. This concept is another “new age” twist. I believe in this “potential” after the Event but not all 12 at once. It’s a process that will take many many years, perhaps “lifetimes”. 🙂 But the prayer is still beautiful – no doubt about that – and to still say daily for general Heath, Healing and other spiritual benefits. This was best GoldFish Report I ever heard! A heart felt moment to All real reporters. A big thumbs up, and A thank you from me to you. With Love and respect. I am really questioning the readyness of any Human to be able to reconnect 24 strands of DNA. We are lucky if we can reconnect a 3rd or 4th strand. At this point I believe that we need to go step by step.